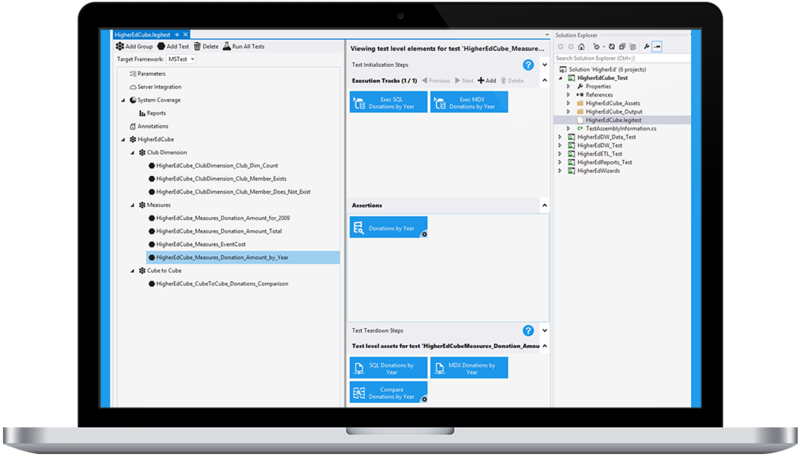 LegiTest is a comprehensive tool for testing data-centric applications, including all BI and data warehouse applications, in an easy-to-use, automated platform. Our simple, scalable and flexible solution can inspire data confidence across the board. Why LegiTest? Did you know bad data costs businesses $3.1 trillion per year in the U.S. alone? Learn More. Testing can be tedious and time-consuming. 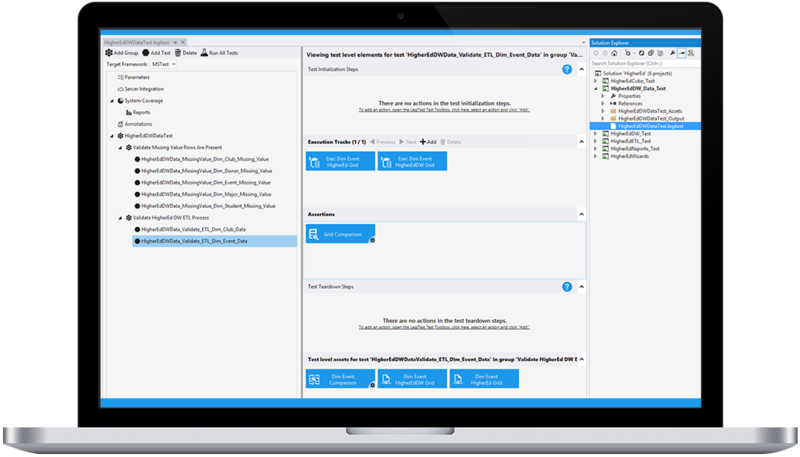 The point and click wizards in LegiTest allow you to build dozens of tests easily in as little as two minutes! 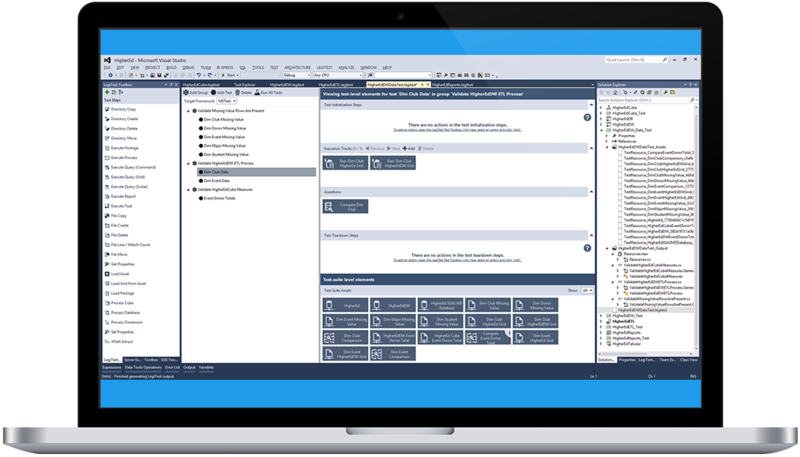 Unit test your SQL Server Databases, SSIS Packages, SSRS Reports, SSAS Cubes, Web Services and more to validate the code you develop and ensure results are consistent. 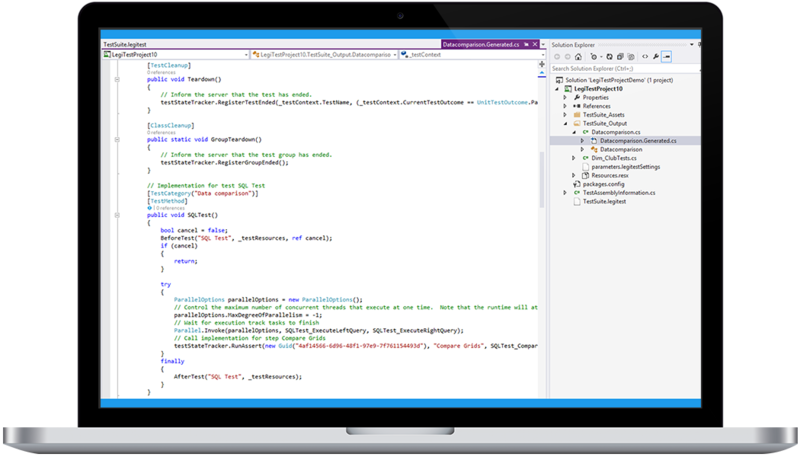 LegiTest’s interface integrates seamlessly into Microsoft Visual Studio, so there’s no need to learn a new development environment. 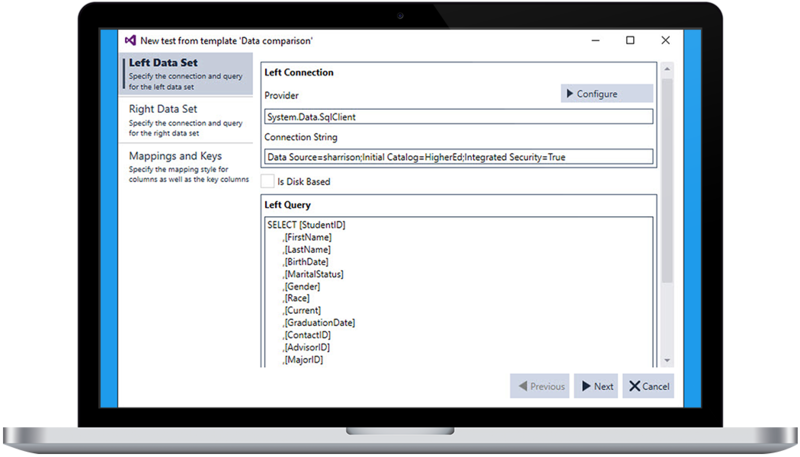 LegiTest’s Actions and Assertions offer a wide range of pre-built steps that you can take as part of your test: From retrieving data from a variety of data sources to executing SSIS packages or SSRS reports. And if the built-in actions and assertions don’t cover your scenario, LegiTest has extensibility features so that you can create your own modules to work specifically with your unique systems. 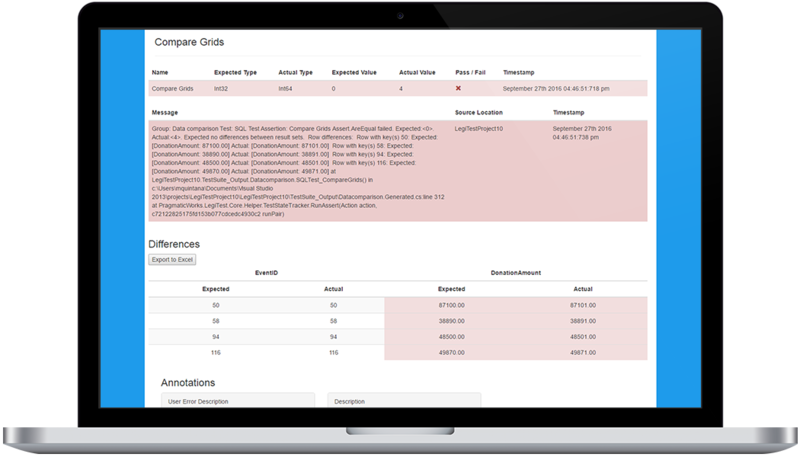 Ensure that your production data is accurate and reconciled across your systems such as Microsoft SQL Server, Salesforce, RESTful Web Services, Oracle, and much more. Implement automated testing of your Business Intelligence (BI) and Data Warehouse projects so you can trust the code you deploy. 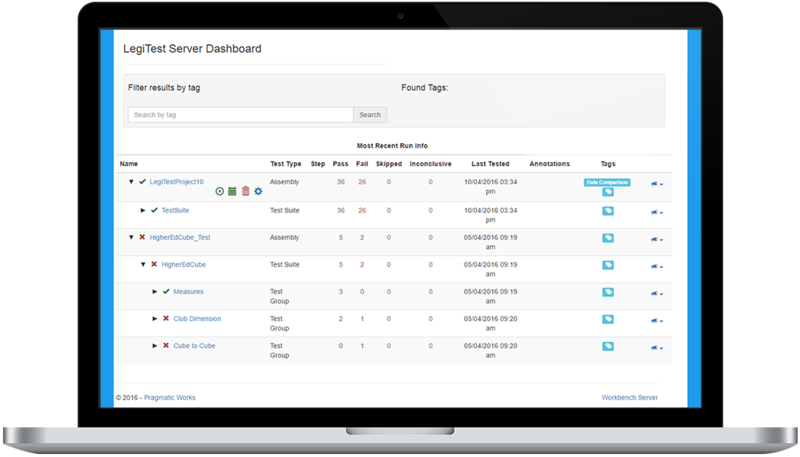 LegiTest Server allows you to share your tests with others and gives you confidence in the data you develop.